A wonderful action sport to watch is the automobile racing and a formula one race is among best race sport. Formula one is the highest class race of single seater automobiles. Formula one serves as one of the best class of built on purpose circuit race and public road. There have always been a lot of spectators and popularity for the F1 races, cars and racers but only few were able to achieve the tag of the hero of the roads. Heroes are born once in a decade and Jack Arthur Brabham was undoubtedly one of them in formula one empire. Sir Jack Brabham was not only a racing driver but was also a fascinating car designer. With mechanical skills he was also called by most of the car racing driver as the expert motor and machinal improviser. Sir Jack also contributed as an author to the racing world with his three books entitled as ‘Jack Brabham’s book of racing’, ‘When the flag drops’ and ‘The Jack Brabham Story’. This Australian champion of formula one racing also had a dry sense of humor. 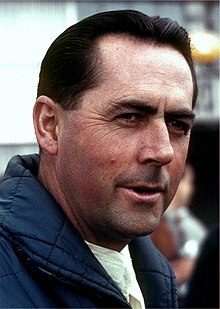 Sir Jack Brabham had a shining carrier that started in 1955 as the Cooper team’s formula one race driver. He was known as the man who never wasted a word, he was a practical and down to earth man. He worked as member of Cooper team for six long years and then started a construction of his own. Until 1970, after competing in 126 grands prix, he had 14 grand prix titles. He also had three world championship titles first in 1959 and then in 1960 and third one in 1966 being a special one as the car he drove had the wheel bearing of his own name. Jack Arthur Brabham was a legend in the field of high class car racing as well as car manufacturing with all his knowledge, words and achievements.